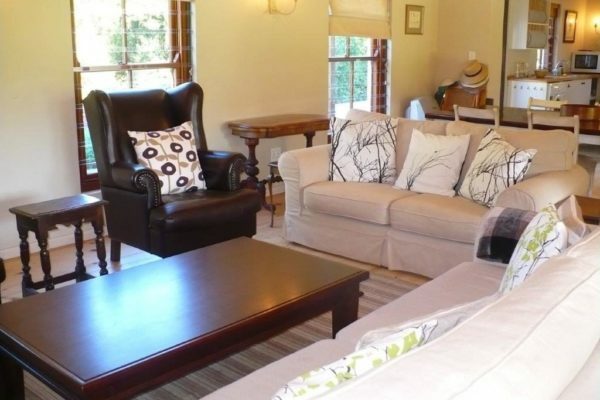 68 on Vlei cottage is a fresh, spacious and beautifully furnished upmarket Greyton cottage with with 3 bedrooms (sleeps 6) and 2 bathrooms, situated in a large beautiful garden with huge pond and awesome mountain views. 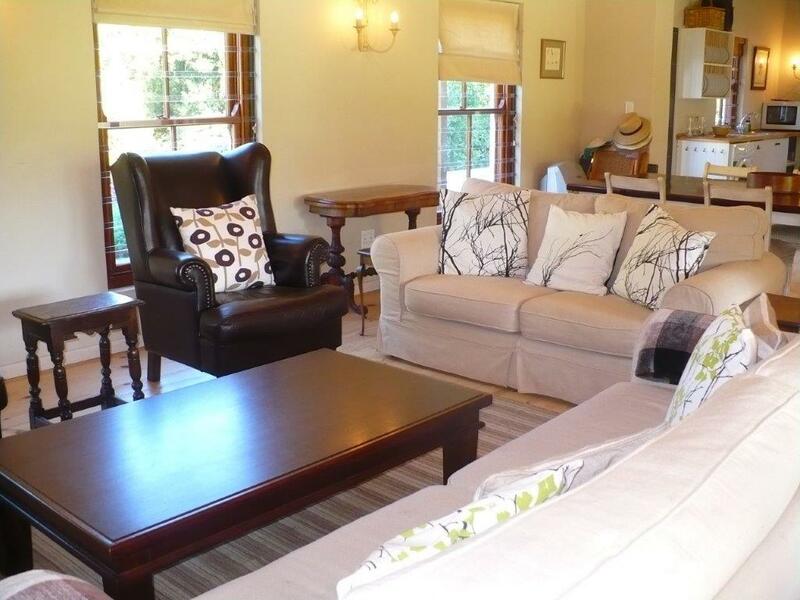 The setting of this cottage provides a serene country environment and a feeling of space. 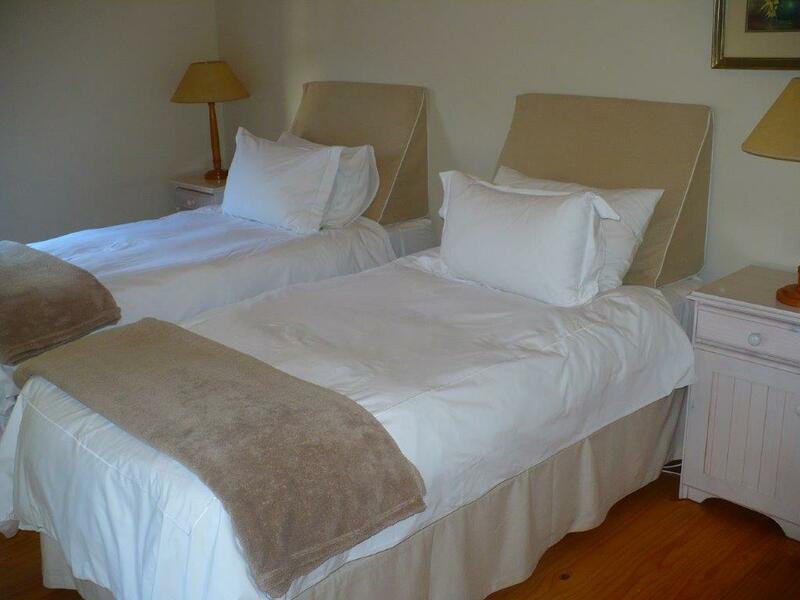 The Main Bedroom with queen bed and en-suite bathroom with bath, shower, 2 basins and toilet, situated in its own wing. The second bedroom with 2 single beds and the third bedroom with queen bed sharing bathroom with bath, shower, basin and toilet. These two rooms are situated on the opposite wing of the house. 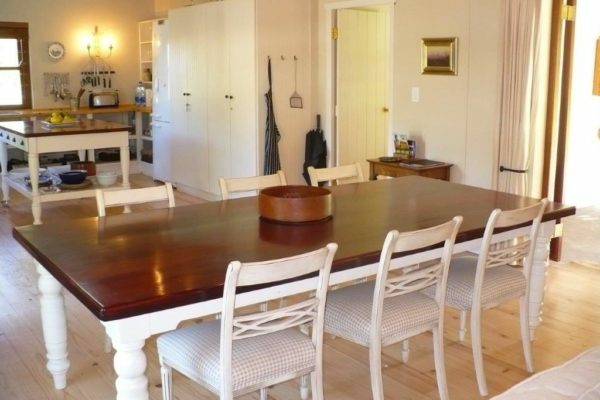 The beautiful country kitchen is open plan and fully equipped with double door fridge/freezer, full stove 4 plate gas stove and oven, microwave/convection oven together with kettle and toaster. The lounge is stylishly furnished with huge fire place opening up with wooden concertina doors to a large covered verandah, creating a lovely indoor/outdoor living area with wooden outdoor furniture. The dining area forms part of the lounge with an 8- seater dining table. 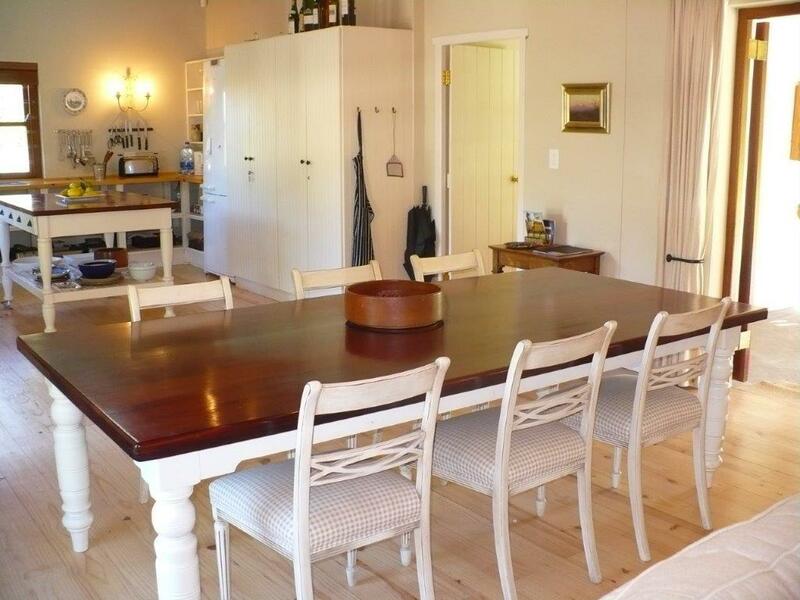 This cottage is situated in the sought after Vlei Street of Greyton. 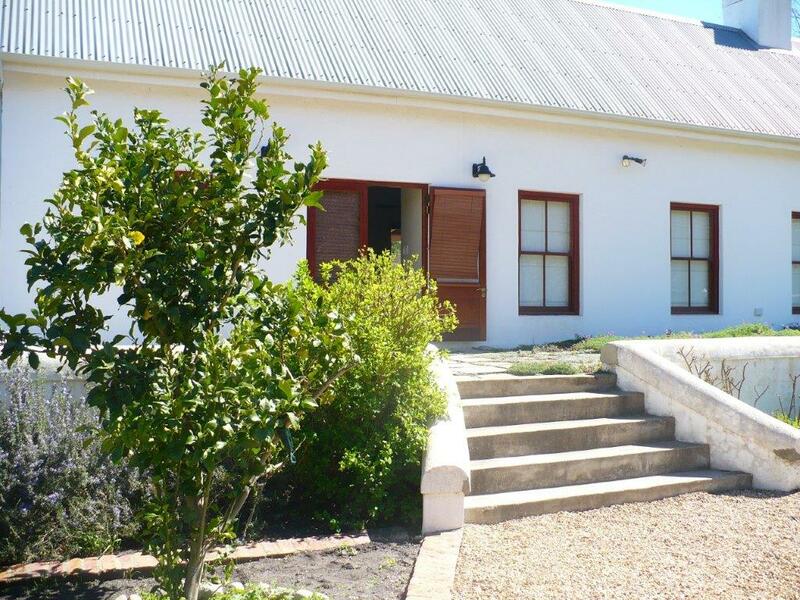 The cottage sleeps 6 guests comfortably in 3 bedrooms and 2 mattresses provided for children (own bedding required for mattresses). • Huge open pond at the far end of the garden. 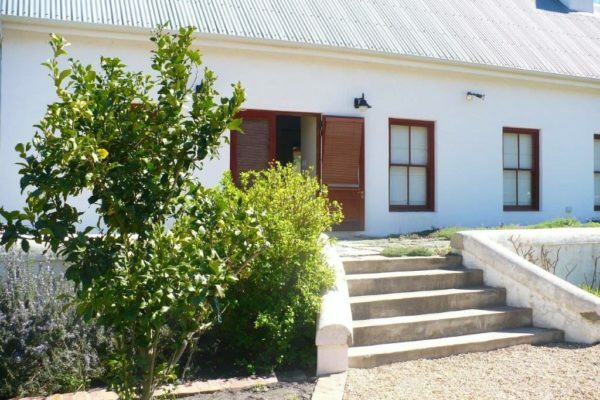 • All round good security and ample parking on the property behind a gate. 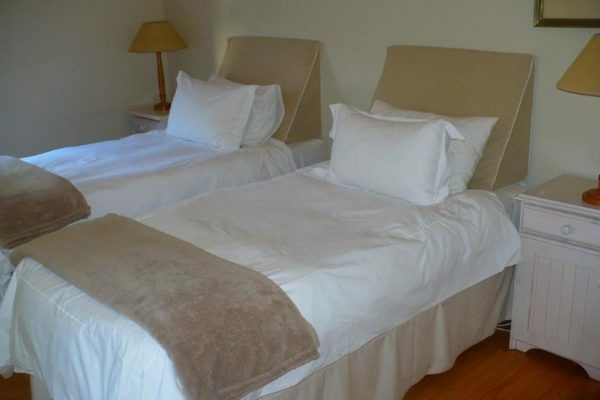 • R2200 per night 1-2 people 1 bedroom. • R100 extra per child on the camping mattresses – using their own bedding. • Max 6 adults & 2 children. • Children over 1 year old in own bed charged full rate. • No cash, cheques, debit or credit cards.